Kelly graduated from Bowling Green State University/Medical College of Ohio in 1993, with a Bachelor’s of Science Degree in Physical Therapy. She began working in pediatrics at the Children’s Rehabilitation Center in Ohio, when she graduated from PT school. Kelly then moved to North Carolina and established a pediatric home health program for a local home health agency, and served the pediatric population in northern NC and southern Va. 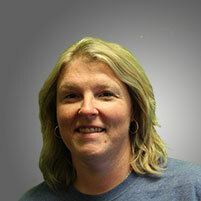 In 1997, she relocated to the Hickory area, and was hired to expand the pediatric program at FRMC. In her 19 years at FRMC, Kelly assisted in developing the “Step-by-Step” Pediatric outpatient services program, Neonatal therapy services in the NNICU, “Wee-Steps” Follow Up Clinic for premature and at risk infants, and the “BLADE” program for at risk or obese children. Kelly has also worked with acute care, orthopedic and neuro populations from birth through adulthood. In 2016, Kelly accepted the Academic Clinical Coordinator Position and Faculty Position in the Physical Therapy Assistant Program at Caldwell Community College and Technical Institute, where she currently works.